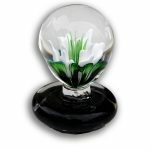 Description: This Cremation Keepsake is a Three Dimensional Flower Paperweight. 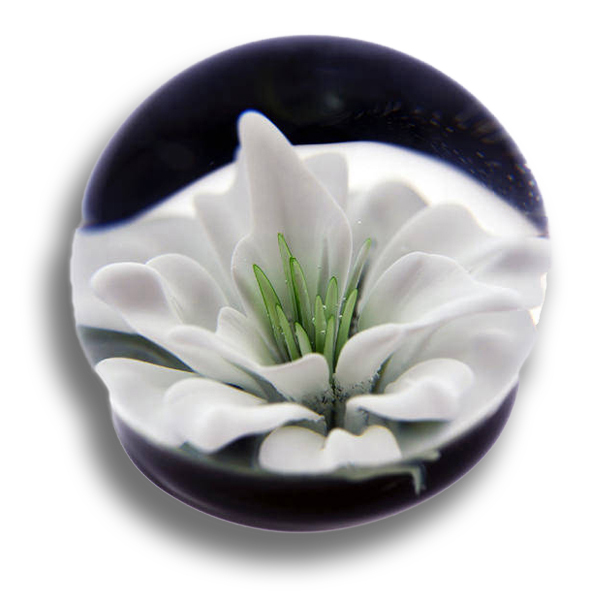 The cremains would be seen on bottom of paperweight under the base of the flower in a clear window. Once completed, I will sign the loved one’s full name or nick name, e.g. Dad, Mom, etc. on the back of the keepsake in 22k gold, so as to be Forever in Glass.